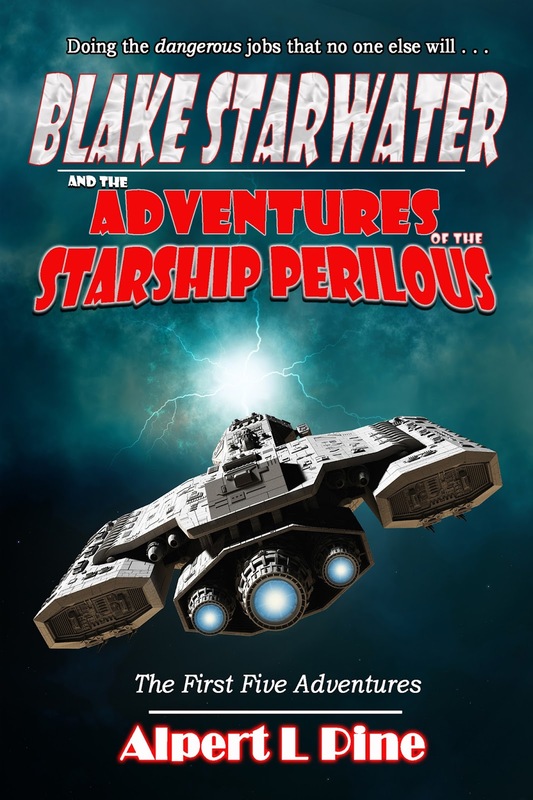 The first Starship Perilous collection — this book contains Adventures #1-5. Amazon(Kindle), iTunes Store, Smashwords, Kobo, Barnes & Noble. Read an excerpt from "A Precious Cargo (Starship Perilous Adventure #1)"
From exploring a derelict space orbital to corporate espionage to meeting a previously unknown alien species — during their travels they will have to deal with a cavalcade of outrageous characters from across the galaxy as they fight to stay alive and get the job done. They may even meet an ally or two who will join them aboard the . . . Starship Perilous! It is available as a trade paperback and an ebook. Amazon(Kindle), Apple iTunes Store, Smashwords, Kobo, Barnes & Noble.